The world’s tourism market is expected to grow in line with development of increasingly global and borderless world citizens where there will be an anticipated overall increase of 40% of global travellers in a 15 year period.The increased accessibility to means of travel due to better airports and its supporting infrastructure reduced cost of travel due to competition and also increased support services that accommodate the variety of needs of a traveler such as choices of land logistics options, food variety and accommodation choices. 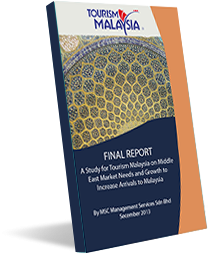 Malaysia’s progress towards a developed nation status by 202 mandated that the tourism industry moves along at pace to reach the stated objectives in terms of arrivals and receipts.For this to be realized, each and every component of the industry has to work along coordinated efforts with common objective, albeit on differentiated platforms. LCCs contributions in the past and in the future, although never quantified ad studied till now, have the potential to add value to the industry. 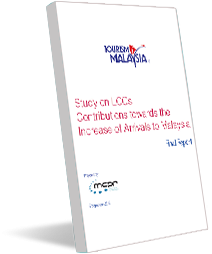 This forms the essence of the Study: the behavioural patterns of LCC passengers and how they can be used as inputs for future strategy formulation to drive the tourism industry in Malaysia further ahead. 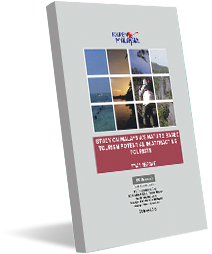 Nature based tourism (NBT) is broadly used to describe tourism that features “nature” and can be defined as simply experiencing natural places, typically through outdoor activities.Given its broad context, NBT encompasses adventure tourism, ecotourism and aspects of cultural or rural tourism.Ecotourism is considered a more responsible form of nature based tourism given its definition of “responsible travel to natural areas that conserves the environment and improves the well-being of local people” according to The International Ecotourism Society (TIES)2.